The holidays are a stressful time for most of us. The traffic, travel delays, crowded stores, frustrating relatives and the list goes on. Perhaps, the most troublesome parts of the holiday season revolve around money. Do you ever feel this way about your holiday spending? We feel like we don’t have enough money to purchase the gifts we want to give. We feel pressure to buy gifts in the first place so that holiday gatherings aren’t awkward. We feel the big looming FOMO (Fear of Missing Out) cloud approaching us like an assailant in the night. Those are heavy emotions to deal with individually, and combined they create the stifling holiday overwhelm is a stifling experience. Bleh. 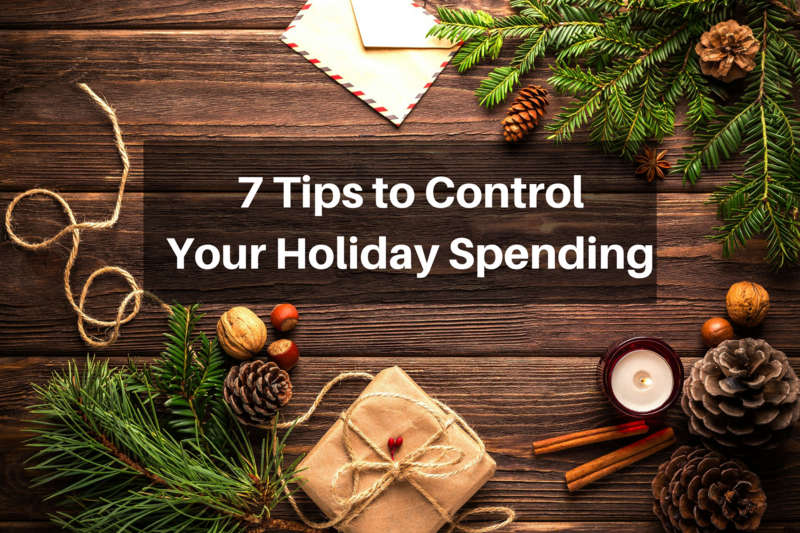 In a recent study done by my pals at Elevate’s Center for the New Middle Class, overspending during the holidays is much more common than you think. Jonathan Walker, the Executive Director of the Center, and I had a great conversation recently that inspired this post. Have I made a list of the items to purchase this season? Is there a more affordable alternative for any of the items on my list? What is the specific dollar amount that I can spend without blowing my budget? 2. Remember, emergencies can still happen! While the holidays can certainly be “the most wonderful time of the year”, it is important to remember that life doesn’t stop happening. Homes burn down, plumbing issues erupt, vehicles break down and people fall ill. The circle of life continues to spin. If you feel tempted to dip into your savings account for frivolous reasons, stay strong!! You can resist the urge and your future self will be very thankful that you exercised that discipline. Developing habits of discipline and organization is a challenging task. When you try to do it alone, it’s even more difficult. Finding a community where you can discuss your journey and get support is one powerful way to stick to your goals. No one makes it alone and you certainly don’t have to! Feel free to join my Facebook Community where we talk about all sorts of things like this. If you have friends who encourage you to overspend and disrespect your goals, now is a great time to love them from afar for a little while…lol. Holiday spending on gifts does not explain the entire story. There are many smaller expenses that can creep up on you if you’re not looking for them. Some examples include seasonal clothing needs, extra food, and higher utility bills due to extra guests for the holiday season. These costs can be difficult to estimate accurately! Try to leave room in your budget for flexibility to absorb those costs. Marketers are very intelligent and cunning people. And they are very aware of the massive opportunities for merketing during this time of year. If you’ve never heard of FOMO, it is an acronym for the phrase “Fear of Missing Out”. And if you’re not looking for it, you can be sideswiped by the temptation then find yourself dazed and confused. Scarcity based advertisements tug at that the part of our brain making us feel the pressure to make decisions quicker. Time limits, quantity limits, and special store hours can easily cause people to shift into a frenzy. We have all tripped and fallen down that rabbit hole at one point or another. But remember, when you’ve taken the time to plan out your spending in advance and you are very clear about your objectives, you are in the perfect place to make intentional money decisions. How do we explain this phenomenon? One theory I have is rather than looking for the items you need according to your plan, you’re just looking for stuff to buy. Sometimes we find ourselves buying massive quantities of things because it’s a great deal. Beware, not everything on sale is actually a good deal. It’s really easy to get distracted by all of the noise then make poor and unnecessary buying decisions. Your money types can change with the circumstances you’re experiencing and you may find yourself feeling more triggered and helpless than usual. That is totally normal. Unpleasant, but normal. More importantly, it’s not a permanent feeling! The more you understand about these things and the Take the money type quiz to discover your money types and how they’re affecting your money behaviors. Which one of these tips stood out to you the most? Let me know in the comments down below!